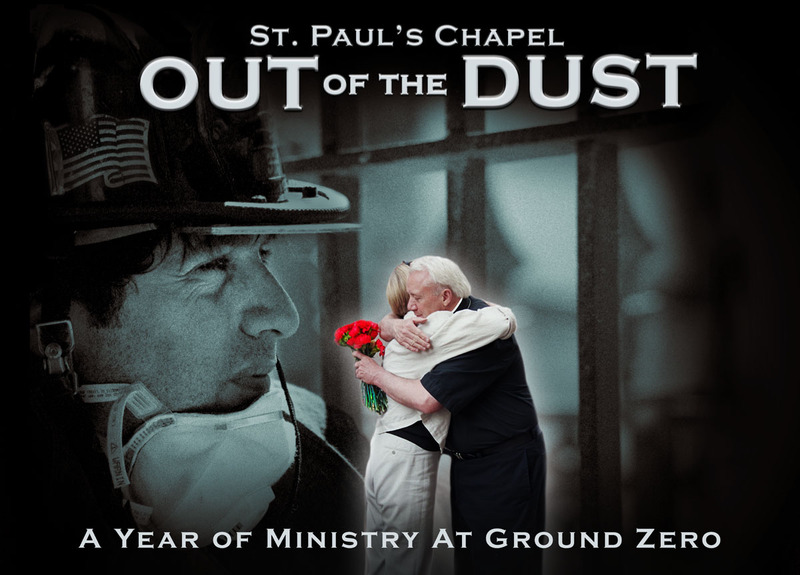 St. Paul's Chapel "Out of the Dust" is the story of hope and healing during the rescue and recovery effort at Ground Zero. 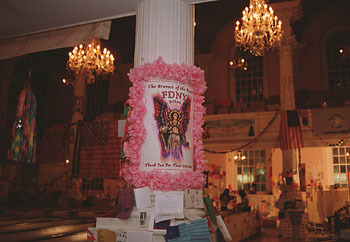 The "Out of the Dust" exhibition at St. Paul's Chapel tells the story of the relief and recovery at Ground Zero. We came to Ground Zero to help. We gave our time, devotion and love to the greatest cause we will ever know: to provide around the clock support and relief to the recovery effort after September 11. We came together and formed life long friendships, civilians and cops, hardhats and healers, musicians, artists, therapists and countless others. Good comes out of bad, understates the amazing miracle of generous humanity that arose from this most terrible event, our truly heroic and inspired response that conquered the evil of that day. Together we helped heal the grief and pain of the recovery workers working tirelessly in the pit, and together we healed ourselves. "The Workers" and "Volunteers" stations tell of the profound dedication made at Ground Zero. 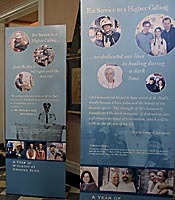 ArtAID artists contributed significantly to the St. Paul's Chapel "Out of the Dust" exhibit.